Doctors Without Borders Afghanistan hospital had identifying flag on roof, Times reporter says. 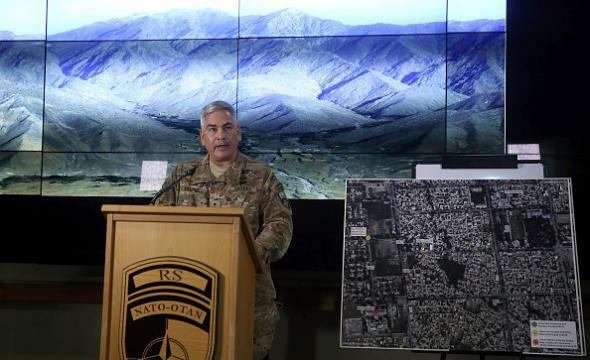 Gen. John F. Campbell, commander of U.S. and NATO forces in Afghanistan, discusses the hospital disaster at a press conference in Kabul on Nov. 25, 2015. Gawker notes that the U.S. report says there is footage of the attack taken from the AC-130U gunship (an airplane) that carried it out; such footage could conceivably answer the question of what was on the hospital’s roof, but it has not been released.